ALLEGRA BOVERMAN/Staff photo. Gloucester Daily Times. 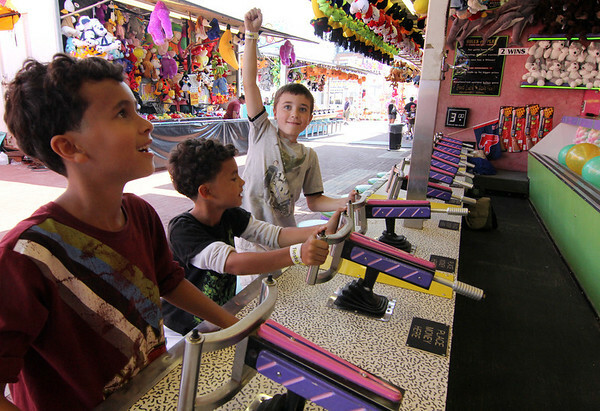 Gloucester: From left, Dagne and his twin brother Gregorio Auditore, 8, and their friend Griffin Noele, 8, all of Rockport, try their luck in the Water Gun Fun booth at the carnival at Fiesta on Friday afternoon.